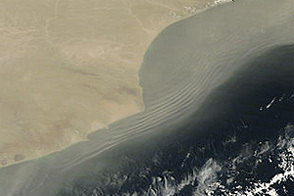 On March 11, 2012, dust and clouds approximated a paisley pattern over the Arabian Sea. The Moderate Resolution Imaging Spectroradiometer (MODIS) on NASA’s Aqua satellite took this picture the same day. 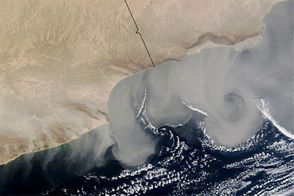 The dust in this storm likely arose from a sand sea known as the Empty Quarter, or Rub’ al Khali. 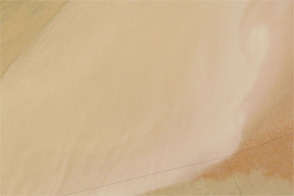 Holding roughly half as much sand as the entire Sahara Desert, the Empty Quarter covers parts of Saudi Arabia, Yemen, Oman, and the United Arab Emirates, and helps make the Arabian Peninsula one of the world’s most prolific dust-producing regions. 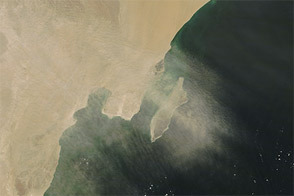 The bright area near the bottom edge of the image is not part of the dust plume. 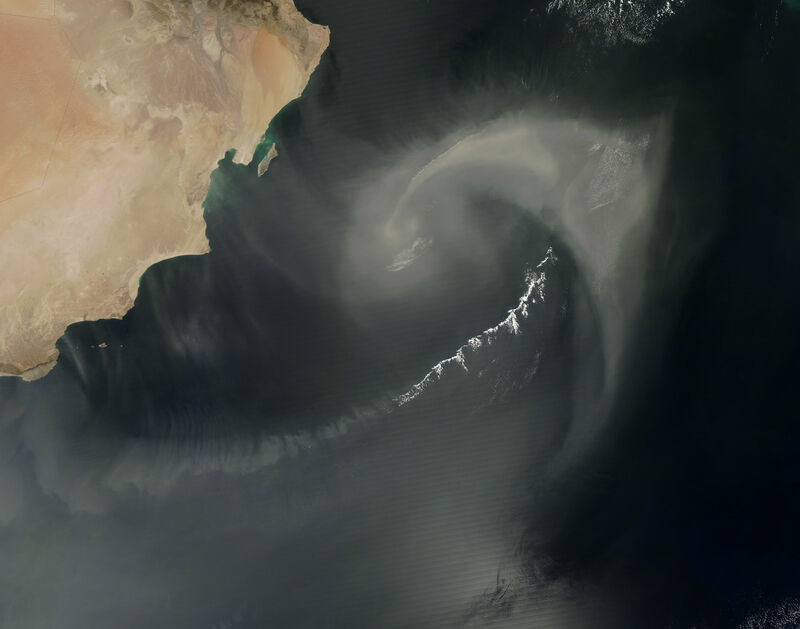 This is sunglint—sunlight reflecting off the ocean surface and into the satellite sensor. 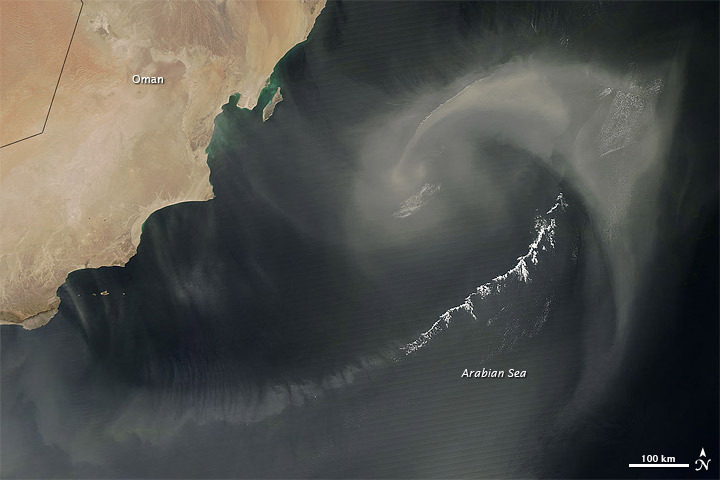 Acquired March 11, 2012, this image shows a rough paisley pattern over the Arabian Sea, formed by dust and clouds. University Corporation for Atmospheric Research. (2010) Forecasting Dust Storms. (Registration required.) Accessed March 14, 2012. 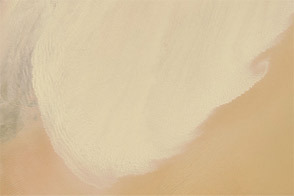 Webster, D., (2005, February 1) Empty Quarter. National Geographic. Accessed March 14, 2012.